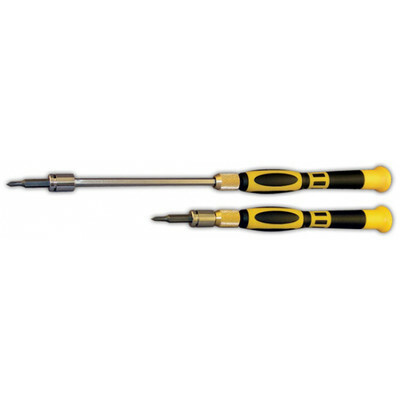 This Platinum Tools 13-piece Micro Mini II Precision Screwdriver Set has an expandable handle that adjusts from 5" to 8". These slots are included: Slotted 2.0, 1.5, 1.2, 1.0, Phillips 0000, 000, 00, 0, Torx 3, 4, 5, 6. Platinum Tools Micro Mini II Precision Screwdriver Set, 13 pc.